For the sea kayaker, island archipelagos are particularly rewarding - none more so than these. Illustrated with superb colour photographs and useful maps throughout, this book is a practical guide to help you select and plan trips. It will provide inspiration for future voyages and a souvenir of journeys undertaken. As well as providing essential information on where to start and finish, distances, times and tidal information, the book does much to stimulate interest in the environment. 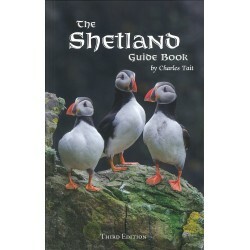 It is full of facts and anecdotes about local history, geology, scenery, seabirds and sea mammals.